Indian Food, Music and 'BYO' Drinks - What's That All About?! Indian Food, Music and ‘BYO’ Drinks – What’s That All About?! Fed Up February is a pop up restaurant event featuring a fabulous 5-course Indian Meal cooked by Lajina Masala, and live Indian music. But, it’s also BYO – what is that? Say BYO in the UK and many people think it’s some sort of DIY store, or an energy supplier that they have never heard of! But, say it in Australia and every Aussie will smile knowing it means ‘Bring Your Own Drinks’. Our Fed Up February event is all about relaxing with friends, enjoying delicious, authentic, home-style Indian food, whilst listening to live Indian Music. We want to keep it relaxed and for that reason, we’re inviting you to bring your own drinks, alcoholic and non-alcoholic, so you don’t have to keep getting up to go to a bar, or work out whose round it is! We’ll have glassware available for you, but the rest is over to you! 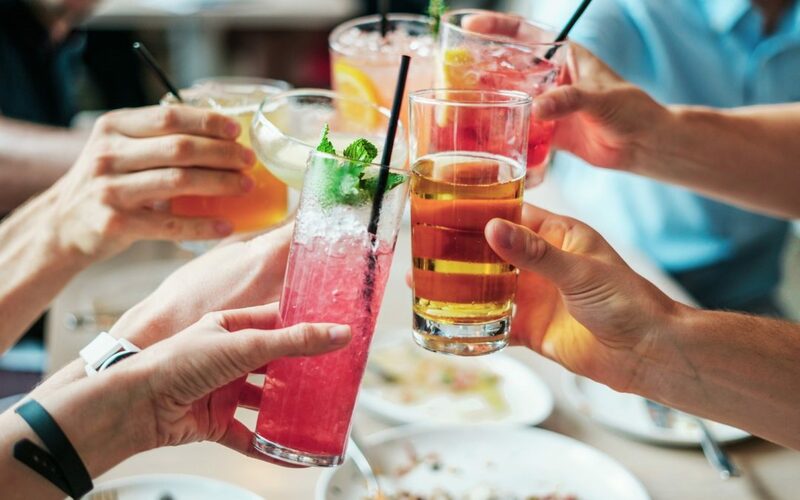 So, whether you want to bring a selection of ice cold beers, (some of the Indian lagers are delicious) a cheeky bottle of red, some champers or prosecco for your night to go with a bang, or your favourite fruity cider, the choice is entirely yours. If you really want to go the whole hog, then make like the Australians and bring your own mini ‘Esky’ – that’s a Cool Box to us Brits – complete with all your drinks, plus a bag of ice, lemons for the G&T and maybe even a cocktail umbrella or two!